“A Gruffalo? Whats a Gruffalo? In The Gruffalo a mischievous mouse manages to convince his various prey that he has a big, bad friend called the Gruffalo. Little do they know that the Gruffalo isn’t real… or is he? When the Little Mouse’s tricks backfire she’s in major trouble and needs to think of someway out quick! Convincing the Gruffalo that she is actually the most terrifying thing in the woods, she sets himself up for a quiet life. 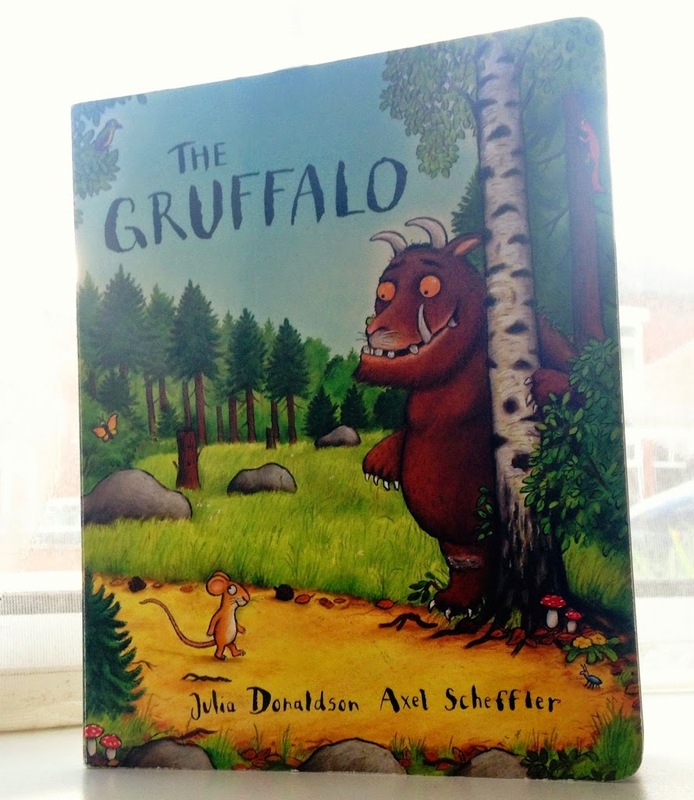 However in The Gruffalo’s Child nothing prepares her for the visit she gets from The Gruffalo’s daughter, and she has to act quick to convince her that he’s not meant to be tea! I was meant to set up an ever to celebrate Children’s Book Week this week on my blog. It was going to be a big thing and it was going to be brilliant. It didn’t happen. I started to organise it and unfortunately things got on top of me and I didn’t get further than borrowing some smaller children’s books from a friend. These books were The Gruffalo and The Gruffalo’s Child so I thought I would at least review them this week so steeling them off her two year old daughter wasn’t a waste of time! I don’t quite know how I have managed to go 15 years without reading The Gruafflo and 10 years without reading its follow on. I even worked as a kids club play worker for a while and spent most of my time in the calm room reading stories to the kids… but still I didn’t read this book! It has been on my must read list for quite some time because I have heard great things and I am glad to say now I’ve read it that I did very much enjoy it. The rhyming of the words really stood out in these books and I loved how it made the books flow so well. You can put a kind of tune to these books and almost sing them and I found myself wanting to speak out loud whilst reading. Thankfully I was alone in my living room so I was able to without looking crazy! When you take a look at the illustrations its easy to see why the books are favoured by so many kids and why there are art books, games and plush toys dedicated to the series. It is bright, vibrant and fun, all whilst staying as close to the real landscape as possible. I could see the woods and copses that I frequented as a child in the pictures and I could see the wildlife which could be found in my village growing up all the way through the books and I think thats one of the main reasons they are loved so much. The plot lines are simple and easy to follow but tell you so much. Just by reading one book you know that there is a food chain, and that food chain is kept close to the real life one, with poor Little Mouse being at the bottom. But in both books Little Mouse proves that life at the bottom of the food chain isn’t bad, especially if you have brains, which she so obviously does! I loved that she was a very intelligent Little Mouse and managed quite easily to talk her way out of situations where her poor strength was such a weakness. These books are now making their way back to my friend and her two year old but I can honestly say that now I’ve witnessed the magic of Julia Donaldson and The Gruffalo they will be one of my first purchases as a parent. I always say that I’ll end up buying a bookcase for the nursery before I even buy a cot and its books like these that give reason to that statement! The Gruffalo was first published in 1999 by MacMillan Children’s Books, The Gruffalo’s Child followed in 2004 by the same publisher. Both of the copies I read were in ‘board book’ format.